The study of tree rings or dendrochronology is the scientific method of dating the age of trees based on the patterns of tree rings. The topic of tree rings is close to my heart, particularly given that it is a major part of my current job scope (I work for the Forest Ecology lab in the School of Plant Science and I study the tree rings of an Australian cypress pine Callitris columellaris). 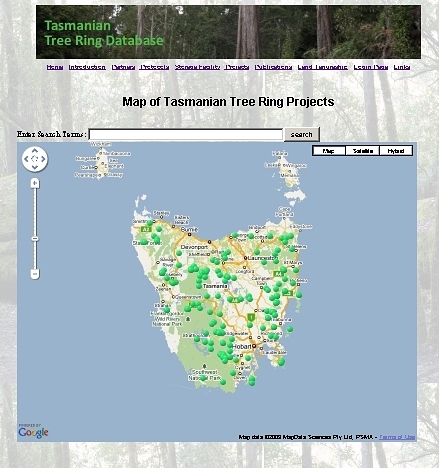 I am hence very pleased to announce the launching of tasdendro.org, a website with the intention of collating all the known information of Tasmanian dendrochronology. The web site was set up under the auspices of the Forest Ecology lab. In particular, Clay Trauernicht, a postgraduate student of the lab, has played a key role in the setup of the website. The website is coupled with a newly set up storage facility with the purpose of being a repository for tree core material collected from Tasmania. Given the current interest in climate change and the topic of carbon storage (see my earlier post on Sam Wood’s study), the setting up of such a facility and the Tasdendro website couldn’t have come at a more opportune time! 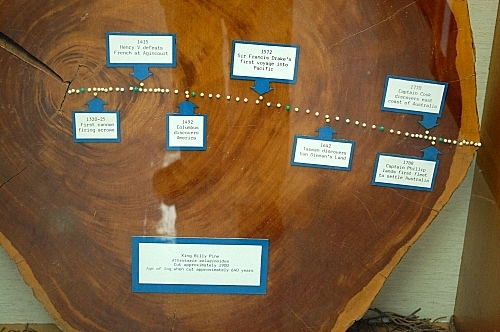 This entry was posted in Botanical History, Botany, Trees and tagged dendrochronology, tasdendro, tree ring study, tree rings. Bookmark the permalink.